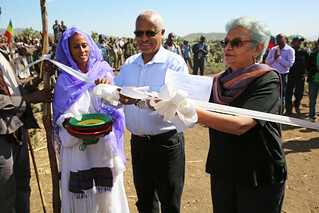 Ebo, Raya Azebo woreda, Tigray 11 February 2015: A multiple clean water supply scheme in Ebo, Raya Azebo woreda of the Tigray National Regional State goes operational today. The project will benefit 27,000 people in seven villages including 15,000 school children with clean water in their school and households. 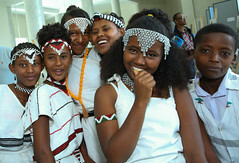 The Ebo clean water project, with a total cost of 20 million Ethiopian Birr, is a unique project as it not only demonstrates how investments in long term sustainable water supplies can reduce the carbon emissions from water trucks, but also contributes to making Ethiopian towns and villages greener and healthier for women and children. The project shows how resilient water supply solutions can be implemented in areas where there is low average rainfall and difficult hydrological conditions. In addition, it is 70 per cent cheaper than water trucking which has been the practice previously in the villages. 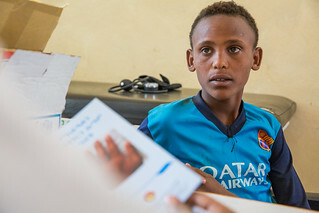 The Regional Government of Tigray and the woreda Administration of Raya Azebo actively partnered with UNICEF Ethiopia to undertake a detailed technical groundwater assessment to locate deep groundwater which could be exploited for this water supply scheme. 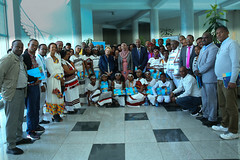 UNICEF also called on its large national and international expertise to provide high technical support and mobilised funds from UNICEF Germany to finance the construction of the entire water supply scheme. 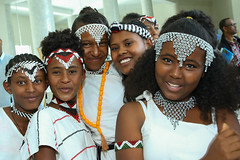 Ethiopia has made substantial progress in improving access to water supply and sanitation coverage since 1990. 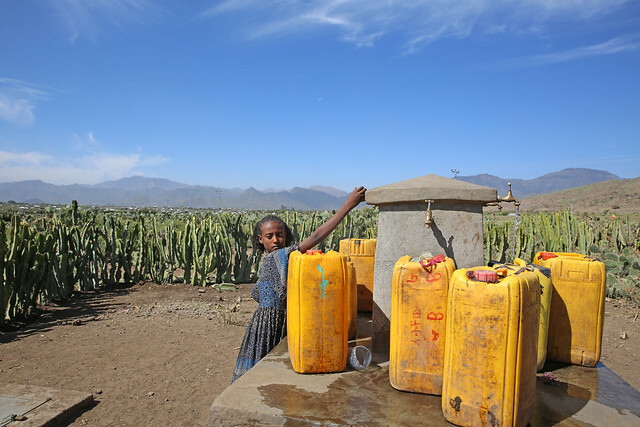 The recent National WASH Inventory data helps to confirm that, with the 2015 prediction of 57 per cent water supply coverage, Ethiopia is well on track to meet the water target of halving the 86 per cent of the population without water. The completion of such cost effective schemes is an indication that the country is now heading into innovative approaches to address people especially the hard to reach areas who are without access to safe water services.